How easy is it to get that unusual bike from across the pond? Buying a bike from abroad is an exciting prospect. Especially if you’re after a specific model that’s not available in the UK. 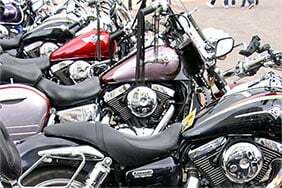 Most motorcycles are manufactured in different countries these days, and are designed to meet the requirements of the EU. 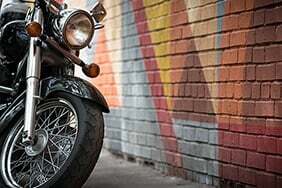 But some motorcycles get onto the UK market that weren’t originally intended to be here. These are imported motorcycles. Often these are rare or desirable models that appeal to collectors or enthusiasts. However, there are some things to take into consideration before you buy your dream import. For example insurance premiums and certain specifications. A parallel import is a vehicle that’s been brought into the UK from another EU country. 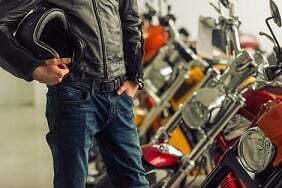 They’re usually available through the manufacturer’s franchised dealer in the UK. Although a parallel import will meet minimum UK standards, sometimes the specifications are slightly different. For example, the odometer on the EU import may read km/h instead of MPH. These should be EU registered, but ask for a European certificate of conformity from the manufacturer to prove this. Unlike parallel imports, grey imports are brought in from outside the EU, often from Japan. These are mostly unusual makes and models for collectors or enthusiasts. Grey import bikes haven’t been EU approved. It’s important to get your new wheels approved so it meets environmental and safety regulations. 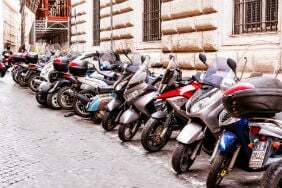 Your bike must comply with European Community Whole Vehicle Type Approval (ECWVTA). It should have a certificate of conformity (CoC) to prove this. 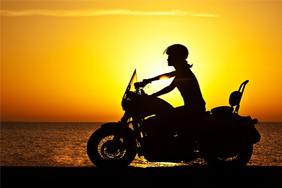 If it doesn’t have a certificate It must be inspected under the Motorcycle Single Vehicle Approval (MVSA) scheme. Once it’s passed these checks, you’ll be able to register it. For a full guide on registering your imported vehicle, visit the GOV.UK website. 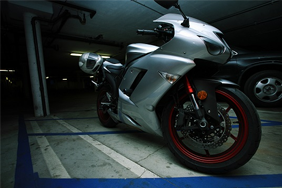 Parallel import bikes are generally easier to insure than grey imports. That’s because they’re almost an exact copy of the bikes available in the UK. Grey imports are more of an issue for insurers. Being produced outside of the EU means that the parts are not easily available. So in the event of a crash, they could be very tricky to repair. And, as most of these models are rare or collectable, the risk of them being stolen is higher too. This could also raise your premiums. The initial price of the bike may seem appealing, but remember this is only the cost of the bike itself. You’ll still have to pay to ship the vehicle back to the UK, as well as VAT or duty. 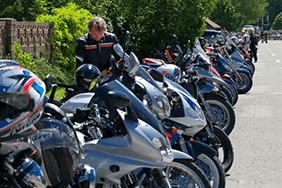 Getting your bike inspected under the MVSA scheme can also be costly. As well as this, general running costs could be higher. Servicing a vehicle with specific parts could require specialist knowledge, which could bump up the cost. The DVLA issues a Q plate to a vehicle whose age or identity is in doubt. Once the bike is EU approved, the documentation will then be checked. If there are any gaps in the documentation, the bike will be issued with a Q plate. Q plates can be a difficult one for insurers, as the history of the vehicle is patchy. It’s worth shopping around though, as there are specialist insurers that deal with Q plates. If it’s not a franchised dealer, research them. Keep an eye out for anyone who wants you to pay for the bike before it’s landed in the UK. You shouldn’t part with your cash unless you’ve seen the bike first. 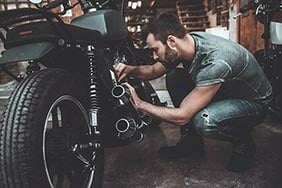 Check the warranty – UK dealers should honour the warranty if the bike’s imported from within the EU. But every country has different warranty periods, so the cover could vary. Imported models are designed to match the climate of the country they were manufactured in. For example, a model that’s designed in Japan may use seals or paintwork that isn’t designed for the UK’s rainy climate. There are usually owners’ clubs for imported models. It’s worth getting in touch with them for advice on insurers, as they’ll have an idea of who can provide the best deals on cover.